We’ve talked about visiting Hawaii cheaply before. This time, we’re going to get a little more specific and explore traveling to Maui on a budget. 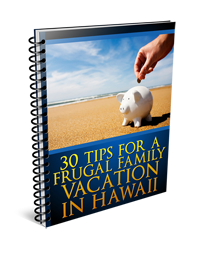 The price point for a Maui vacation typically falls somewhere in the middle of the spectrum, with Oahu and The Big Island being the most budget-friendly and Lanai and Molokai often requiring a larger budget. However, I’m here to tell you that enjoying a Hawaiian vacation for cheap is possible on any island when you know how to find fun attractions that require little money or are even free. You can enjoy a Maui vacation without breaking the bank if you know where to find the cheapest restaurants and have also taken the time to plan for cheap transportation. You can even find cheap hotels and places to stay in Maui. Let’s start digging around Maui and uncovering all of the cheapest, most fun and most authentically Hawaiian activities and experiences we can! Book early or look for last-minute deals. Sign up for airfare alerts. Fly out of a secondary city. Take advantage of frequent flier programs. Using these suggestions will help you get to Maui for cheap, but then you’ll need to find a cheap place to stay in Maui. Be flexible with travel dates for the best hotel rates. Ask for all-inclusive packages with hotel stays, tours and other benefits. Sign up for an automobile club or travel club to get great prices on hotels. Register for frequent traveler clubs with hotels. This reasonably-priced Maui hotel sits on the secluded Maluaka Beach, in Turtle Town. It is perfect for couples, singles or families and offers many options for a customized Maui vacation. Surprisingly, when I checked the rates at this Ritz-Carlton, they were some of the lowest on the island. Here, you’ll enjoy a refined atmosphere that is deeply rooted in Hawaiian culture. Ritz-Carlton Kapalua features great amenities, including a swimming pool, fitness classes, sun and surf equipment rentals, lawn sports, massage treatments and so much more. The key to getting the best value for your vacation dollar on Maui is to look for ways that you can access all kinds of incredible recreation activities for free or cheap. You’ll fill up your days without having to spend much money, even if that means paying a slightly higher-than-expected amount for lodging. Just keep in mind all of the money you’ll be saving on tours, excursions and so forth. One option for saving big when staying in Maui is to camp at some of the state parks on the island. The Department of Parks and Recreation currently has four parks that offer wonderful opportunities to stay and sleep in nature, so if adventure is what you’re coming to Maui for, grab a tent and stay for less than $10 a night. Amazing! Eating in Maui on a budget is easy. The key is to stay away from the touristy restaurants in bigger cities and at the hotels, and opt instead for fresh fruit stands, farmers markets and local-favorite eateries that serve cheap and delicious fare. Buy sugarcane, fresh baked goods and even art and jewelry to take back home. Vegetarian choices, juices, smoothies, steamed veggie bowls, soups and more. Specializing in organic foods for a great price. Nachos, deli foods, baked goods and even margaritas. When you want to have fun in Maui on a budget, it’s as easy as hitting the beaches. Maui’s beaches are probably the best in the entire state of Hawaii. You’ll be able to spend hours sunning, surfing, snorkeling, swimming, sailing, body boarding, playing sand games and just relaxing with friends and family—all for free. Remember to take advantage of all the activities that are available at your hotel for free, such as golf, tennis, fitness classes, craft sessions for kids and more. The Hula Show at the Cannery Mall is a great free experience in Maui, and you can also spend your days hiking nature trails in state parks for free, driving the Road to Hana, and visiting Haleakala Crater. If you want to book the best-value tours and activities in Hawaii and get the most for your money, check out Hawaii Activities, where you can choose from more than 500 of the best tours in Hawaii! You’ll need a rental car in Maui if you want to visit attractions away from your hotel, because there is no significant source of public transportation and taxis would cost a fortune. When you’re reserving your rental car, sign up for automobile or travel clubs to find reduced rates, and also remember to pick up your rental car at a hotel or remote location rather than at the airport to avoid extra fees. Reserve the smallest car possible, with the best gas mileage, and ask each car rental company for quotes that include AAA or AARP discounts. Don’t let the rental car company talk you into extra insurance or “pre-fueling” programs, and ask about packages that include hotel stay or attraction tickets. 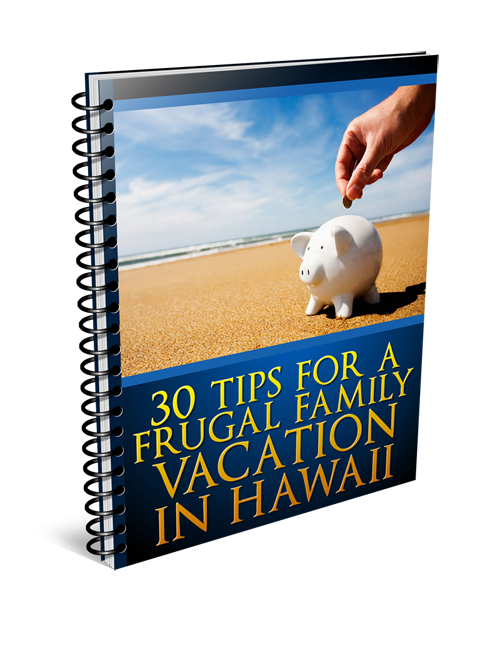 If you follow these tips, you should be able to put together a perfect Maui vacation for a fraction of the cost you’d expect!